Here in California we take getting children enrolled in health coverage very seriously and in a state where 39 percent of our population is Latino, it is important that California identify opportunities to help Latino children get the health insurance coverage they need to succeed. A recent report from the Georgetown Center for Children and Families (CCF) and the National Council of La Raza finds that California is on the right path. The report shows California had the greatest reduction in the number of uninsured kids in the U.S., with 56,000 fewer uninsured Latino children in 2013 than 2011. 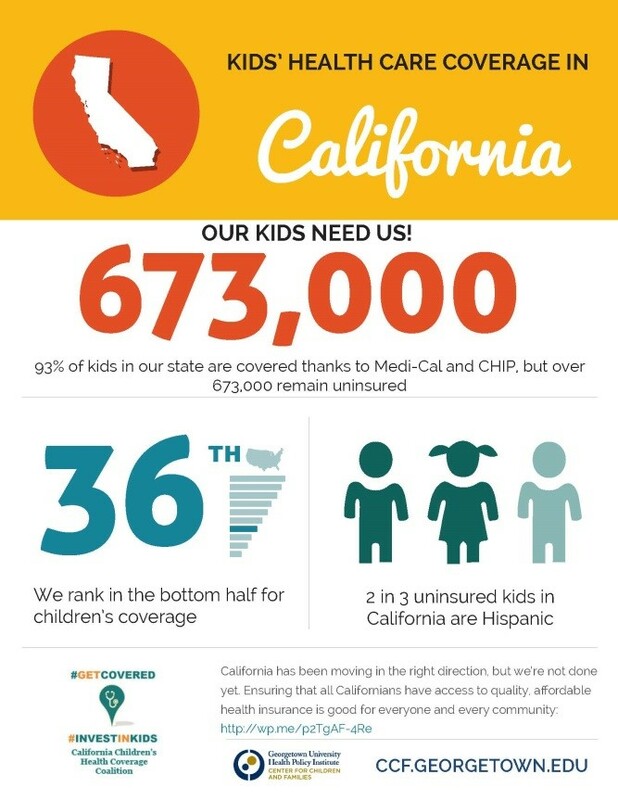 These numbers are impressive, but we know there is much more to do, especially when 2 out of 3 uninsured children in California eligible for Medi-Cal are Latino. In order for California to continue to be a leader in insuring Latino children, there is still a significant need to improve outreach and enrollment strategies. Latino children continue to be one and a half times as likely to be uninsured as other children. Nationally, an estimated 11.5 percent of Latino children were uninsured in 2013 compared to 7.1 percent of all children. In California, the percent of uninsured Latino children was 9.6, a number that is too high. Achieving increased rates of insured Latino children in California requires smart investments in resources and enrollment assisters who are trained and ready to speak to families about coverage in a way that makes sense. 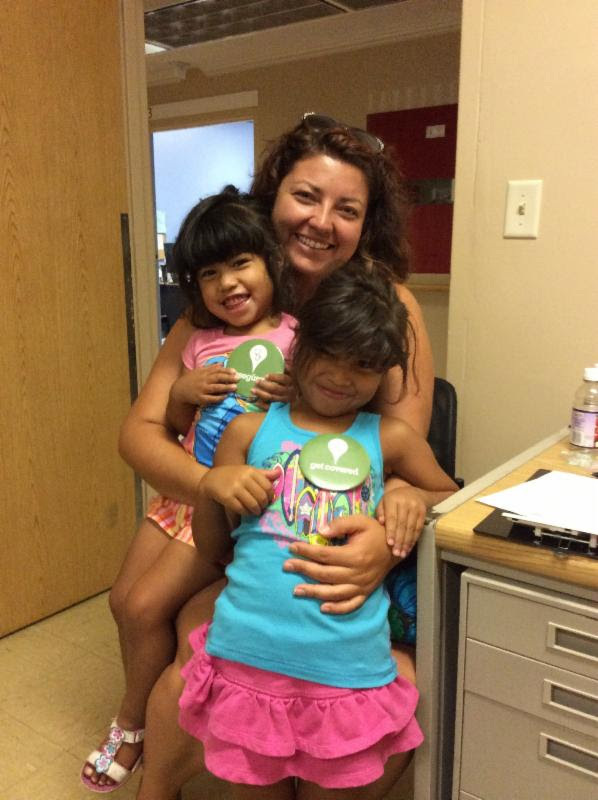 In Kern County Melissa Lopez, a single mom of four young children, visited her local Community Health Initiative office to explore coverage options for her children. Melissa works hard as an Inclusion Aide for the Department of Special Education at a local school district and is a part time student, but she knew her hard work didn’t insulate her or her children from illness or injury or the financial risk that came with uninsurance. A local enrollment counselor walked her through the coverage options available to her and her energetic children and soon all five of them had health coverage that she could afford. Best of all, Melissa had peace of mind and no longer had to worry if one of her children gets sick, if she will be able to afford their doctor visits or medications. Melissa and two of her children, covered and happy! CHIP has played a significant role in reducing the number of uninsured children, particularly uninsured Latino children. Many CHIP eligible children who remain uninsured are from families with limited English proficiency. In order to reach these households, we need to focus outreach and enrollment efforts that are culturally and linguistically appropriate. What can California do better? Maintain our commitment to fund the Children’s Health Insurance Program. CHIP is a vital program for Latino families, but it is set to expire in September 2015 without Congressional action. The loss of this funding may mean cutbacks to programs or increased family contributions. It is critical that our Congressional leaders vote to extend this funding source. Pass legislation to cover all children and adults regardless of immigration status. In California, conversations have already begun under the Health for All Act, which would provide healthcare for all families and their children regardless of immigration status. California must act to pass legislation that provides coverage for all Californians. Continue to streamline and improve enrollment and renewal systems. States that were most successful in covering Latino children made the enrollment and renewal process for families simple. California can continue to be a leader in children’s health insurance by reducing barriers to enrollment. The report shows us that Californians can again be leaders on health care and caring for our children by building on our past successes and guaranteeing that every child in our state can grow, thrive, and succeed through access to quality care.